League of Legends Korea and the world are really crazy because of SKT T1’s victory. 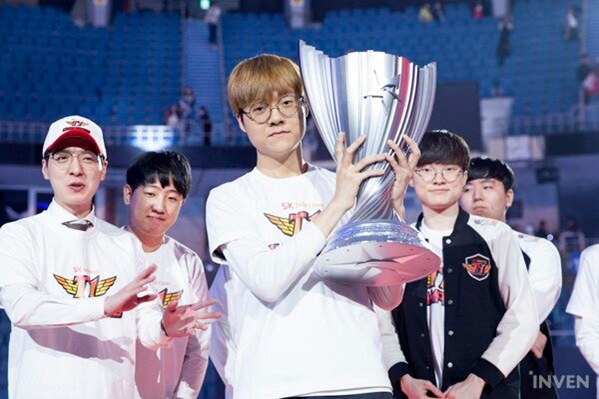 The fact that SKT T1 won the LCK spring 2019 championship was absolutely not a surprise, because they were judged completely on par with their rivals – Griffin. However, the way Faker and his team beat GRF to 3 white boards really made the world and the League of Legends community excited. 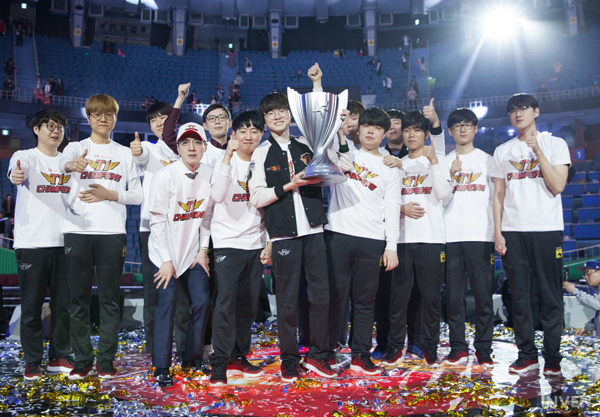 The match between SKT T1 and Griffin, in essence can be considered as a super classic match of League of Legends, when gathering the most talented players of LCK. On the reddit forum, the topic about the match has landed more than 2000 comments after a few hours, while Naver, Fomos, Korizon – South Korea’s leading information social networks have pinned the series on this match. the focus (first page) of the sports section. As for SKT T1, this is the first time since the 2017 Spring LCK, they have won the Korean championship. During the one and a half years marking the decline of the three-time world champion team, SKT T1 had to decide to break up with most of their gods and build a new team. The gathering of stars is a precursor to SKT’s revival, but at the same time it gives players, especially Faker, a heavy pressure to succeed when demanding success must come immediately. 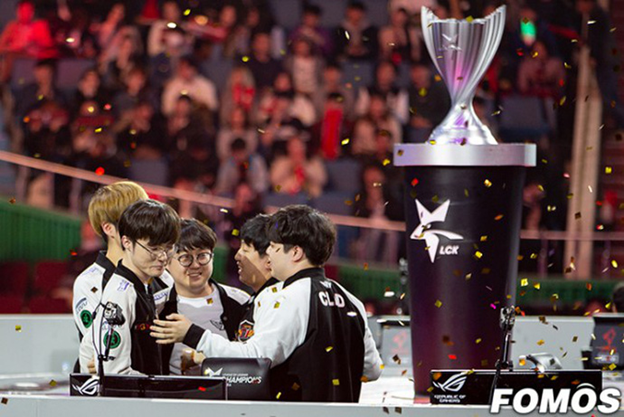 Fortunately, the new elements of SKT, along with their living legends, have overcome this challenge and won the championship convincingly. Who told Mata, Khan, and Faker time out ? Let’s go out and talk at all! Ezreal will have the third world championship outfit, it belongs to Teddy, and Ryze, this year will be the 2nd SKT T1 outfit of this general :))). Has there been a few unsuccessful seasons, some people have forgotten who is the owner of the 7 LCK trophies and 3 world cups? cvMax (Griffin’s coach): We will win with the score 3-0 – SKT: It is true that is 3-0, but not for GRF :v :v :v.
Faker + Teddy = Super, perfect, perfect team . LONG LIVE THE KING !!!!!!!! !